Have you been to Barcelona before and checked out all the touristy stuff? Or do you simply want to see the city beyond the usual Gaudi/Barrio Gotico/Las Ramblas stuff? 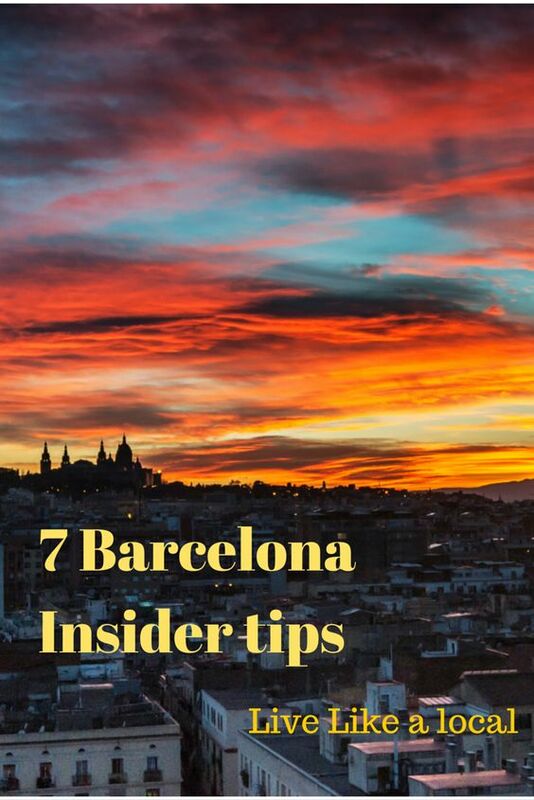 We have just what you need – 7 Barcelona Insider tips! We love visiting new cities, but what we love even more is returning to places we’ve already seen. The first time, we get caught in the ‘I need to see everything’ frenzy, and forget to simply enjoy the moment. When we visit the second, or third, or sixth time in Barcelona’s case, we get the chance to discover unusual sights, get the locals to tell us where to go and what to see. The result? A collection of sights that first-time visitors usually don’t consider. So, whether it’s your first time in Barcelona or not, follow these Barcelona Insider tips to get a different view of the city, and ditch the crowds! Recommended by Anna, lover of Barcelona and of Japanese culture. 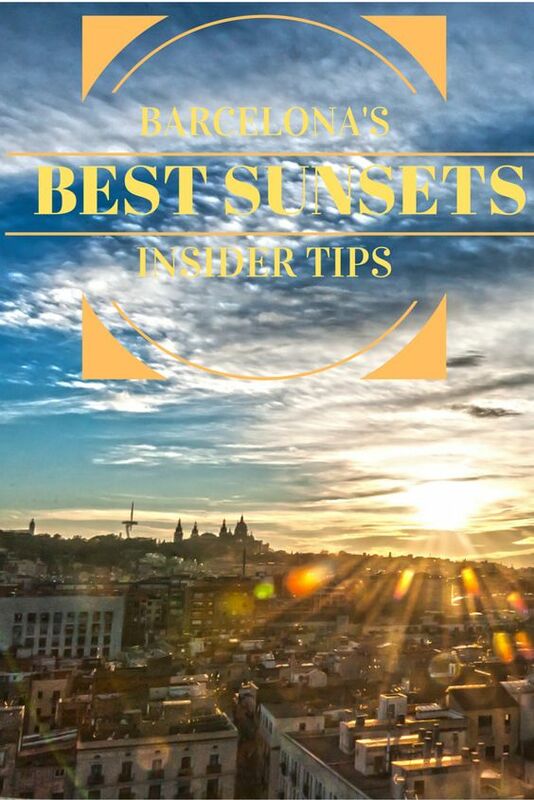 The first insider tip is on Las Ramblas. Whaaaaat? I hear you say. You promised this was going to be off the beaten track, away from the crowds, all that jazz? I did, indeed. But this is a building that most visitors to Barcelona don’t notice, as it’s right in the centre of the Ramblas chaos. It took me six visits to the city and a tip from Anna to finally pay attention to it. 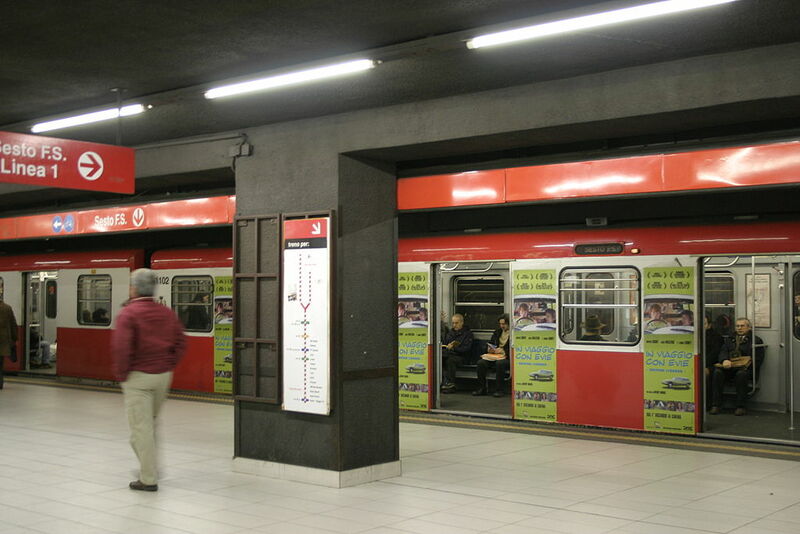 Head over to the Liceu metro stop and forget the street artists, the jostling crowds and restaurant touts. Raise your eyes a bit and look around – and you’ll see it, a building that looks straight out of old Tokyo or Shanghai, decorated with dragons and umbrellas. It’s Casa Bruno Cuadros, also known as Casa dels Paraigües (House of Umbrellas), one of Barcelona’s lesser-known gems of Modernism, despite being in the centre of the city. The love for Oriental decorations was one of the features of Modernism, and Casa Bruno Cuadros is one of the best examples of this. There are Egyptian bas-reliefs on the top floor, Chinese-inspired stained glass and paintings of people, and of course the rampant Chinese dragon, looking as if it’s about to take flight over the Barrio Gotico. The umbrella imagery comes from the umbrella shop that used to be on the ground floor – long gone now, replaced by a bank. 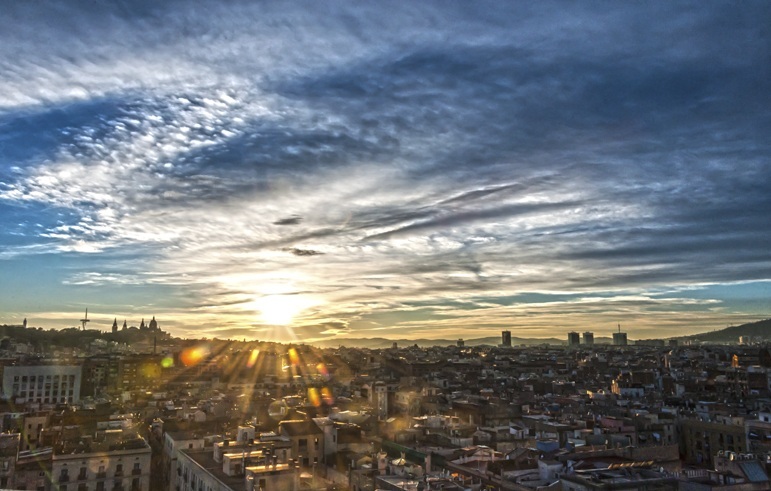 Where can you find the best view in Barcelona? From the Sagrada Familia? It’s nice, but it will cost you over €20. From the Tibidabo? It’s amazing indeed, but the one from Bunkers del Carmel is even better, we were told. View from the Bunkers – I said amazing, right? The bunkers are located a 30 minute walk away from the Alfons X Metro station – just walk up towards the mountains, and they’ll be just in front of you. And when I say bunkers, that’s exactly what I mean. 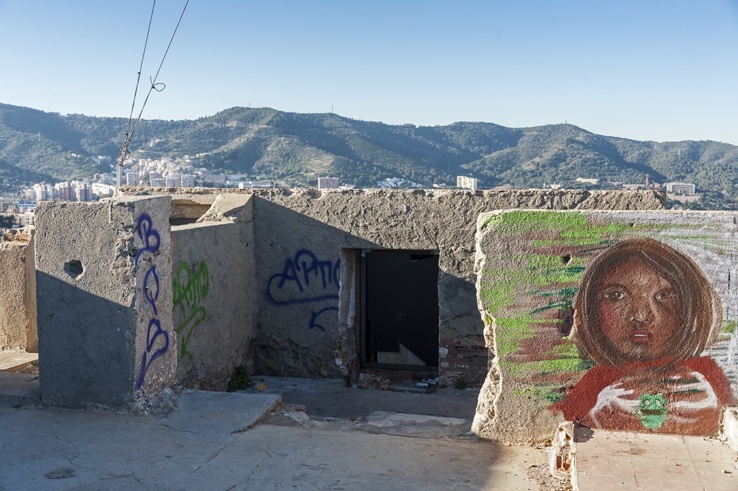 They are the ruins of Civil War anti-aircraft batteries, turned into squats and lived in until just before the Barcelona Olympics in 1992, then fallen into disrepair. The bunkers are currently being restored, so their very top is fenced off, but guards and workers seemed to be used to people jumping over for a little wander at the top. In any case, you’re not there for the bunkers themselves, but for the view, which is amazing all the way up. 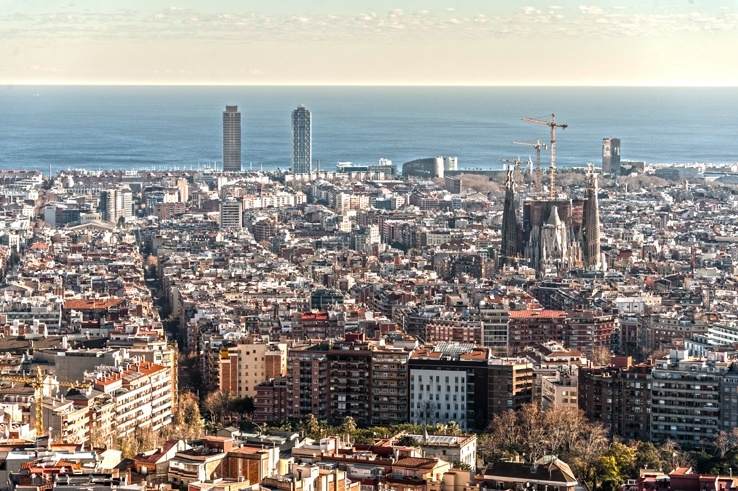 You can see the vastness of the Mediterranean sea, the Serra de Collserola just behind, and Barcelona extending as far as the eye can see, the maze of the Barrio Gotico and the Sagrada Familia rising like a leviathan, dwarfing the buildings around it. Truly a stunning sight. If it’s your first Barcelona visit, you may think that Gaudi was the only Modernist architect. 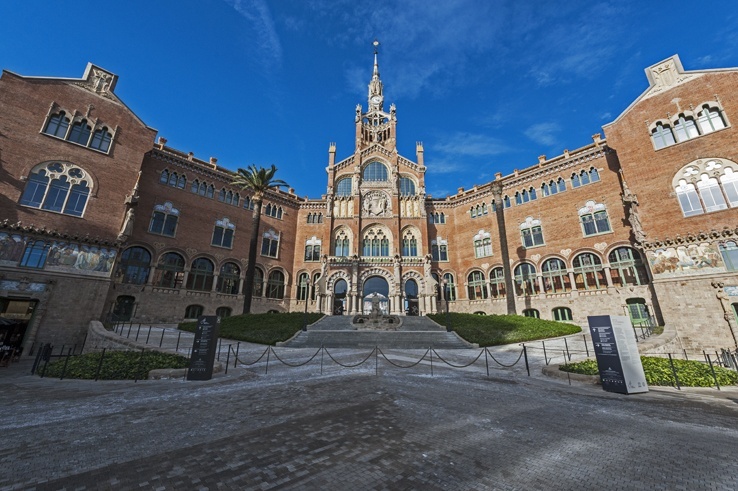 However, you’ll be mistaken – another great Modernist architect was Lluís Domènech i Montaner, and Hospital de Sant Pau is one of his works. The hospital only ceased to function in 2009, and since then it has been restored and opened to visitors. It’s a complex of buildings and pavilions, set diagonally compared to the rest of the grid-like Eixample district. The entrance building, that served as administrative pavilion, is a Modernist extravaganza, with turrets, spires and colorful tiles. It seems to guard the entrance to a beautiful garden, accessed through a tunnel, where the other pavilions, orange trees and statues can be found. Not all pavilions can be visited, but you can see two. The atmosphere inside is spooky, sometimes – besides the beautiful tiles and vaulted ceilings, there’s no amount of restoration that can erase pain, illness and death. The gardens and administrative pavilion are more reminiscent of a castle than of a hospital, with orange-laden trees and birds chirping as they flutter from one turret to another. Another scenic spot, closer to the town centre this time, is the rooftop of Barceló Hotel Raval. If you’re not familiar with Barcelona districts, Raval is located on the opposite side of Las Ramblas compared to the Barrio Gotico. That is, on the right if you’re walking towards the sea. It was known for a long time for its unsavoury characters, and while it has cleaned up its act somehow, it still feels a lot rougher around the edges than the rest of the city centre. Barceló hotel looks like a steel cylinder, rising a few storeys higher than the rest of the buildings in the district. Jump on a lift and head over to the top floor, where the aptly named 360° Terrace is. Walk around and be amazed at every step. You’re right in the centre of town. On one side is the Montjuic hill, on the other the Barrio Gotico and Sagrada Familia, everything framed by mountains and sea. Is it better than sunset from the Bunkers? I don’t know, because I wasn’t at the bunkers for sunset (we were kicked out, if you want to know the whole story…) but it was pretty spectacular. I guess the pink sky had something to do with it. You see! I fell for it. You can’t possibly write about Barcelona without mentioning Gaudi. 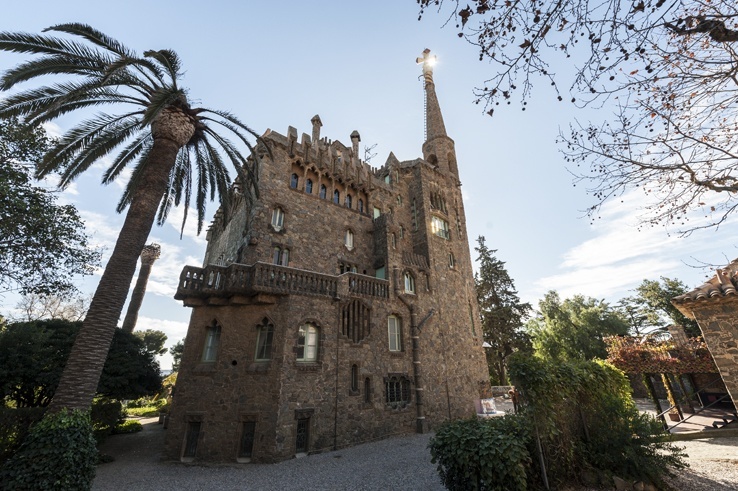 But I bet you’ve never heard of Torre Bellesguard, one of the architect’s earliest works, on the northern outskirts of Barcelona. Torre Bellesguard was built between 1900 and 1909, on the site of a medieval castle, the remnants of which are still visible on the entrance. The Torre is still inhabited by the owners, and as such it’s only possible to enter the building with a guide. It’s perhaps not as flamboyant and bizarre as Gaudi’s Passeig de Gracia homes and the Sagrada Familia, but it’s rich in religious symbols. The most spectacular symbol can be found on the roof. Two apparently-useless windows will leave you wondering, but as you climb to the top, you’ll understand. 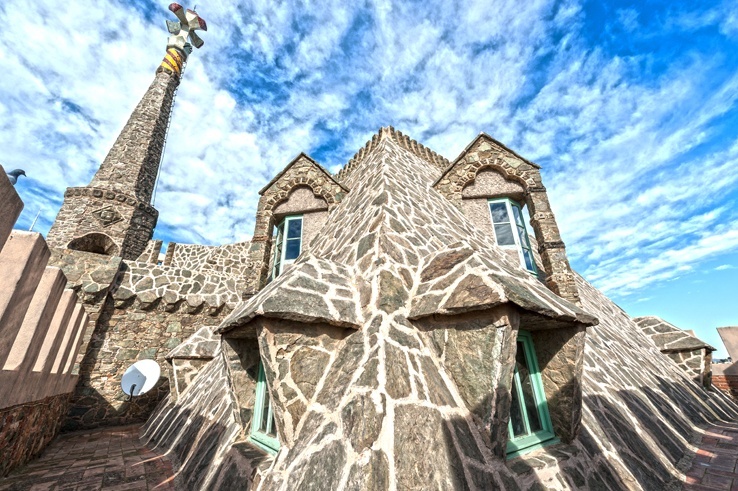 The roof is built to look like a dragon, coiled after being pierced by St George’s spear, which is none other than the pointy turret that stretches slender into the sky. You’re free to wander the gardens at leisure, listening to an audioguide, learning about the history and symbolism of the place. When we visited, tourists were few and far between – and when you’re on the roof, you’ll see why the building was called ‘bellesguard’ (beautiful view). With Parc Guell now charging for entrance, I had to find a new favourite Barcelona park. And we did find it! 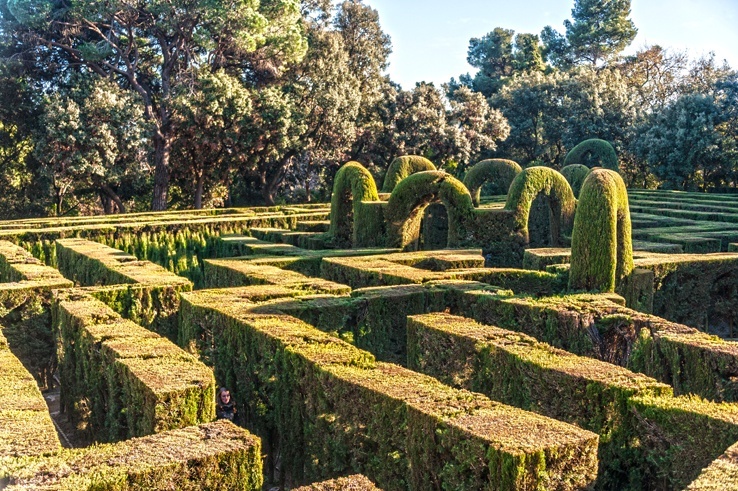 Parc del Laberint is Barcelona’s oldest garden, designed in 1792. 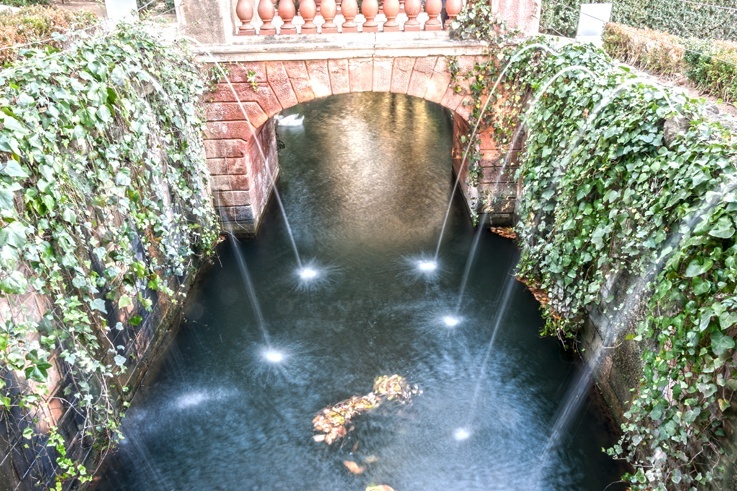 It’s an Italian-esque landscaped park complete with streams, waterfalls, pools and gliding swans. And, of course, a maze, which makes for a fun 15 minutes or so trying o find your way out. The park is very popular with locals, especially at weekends, but it’s still large enough to try and get lost. Walk for a little while along the canal, sit by the pool looking at reflections, search for all the statues of mythological and classic figures… and if you come during the week, the chances of being alone are definitely higher. I’m in love with Gracia. It’s one of those places that feels just right. A neighbourhood that was once a village, and now it’s close to the heart of the city, Gracia has all the elements I like: a village atmosphere, delicious food shops, wonderful squares and friendly locals. To learn more about Gracia, check our post about a day in the life of a Gracia local – or pack your appetite and take a tour with Devour Barcelona! Barcelona is a wonderful city, but what makes it even more amazing is that it’s surrounded by wonderful nature. Make sure you save some time for some of the best day trips from Barcelona! If you want to live like a local for a few days, your best bet is to hire an apartment. You can shop at markets, cook your own dinner, feel as if you are really home. Our Barcelona pad was the beautiful Sagrada Familia apartment rented through Ok Apartment, a local agency arranging short-term lets. 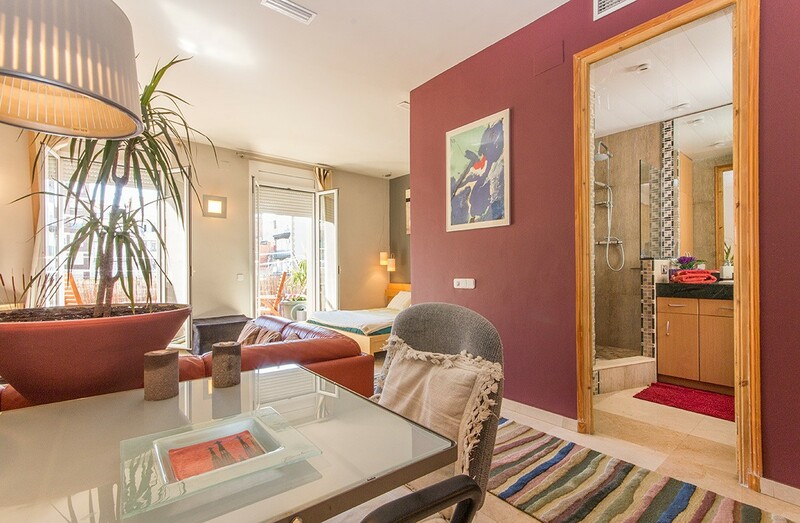 First things first – the location was stunning, right into the centre of town, a short hop to the Sagrada Familia and about 20 mins walk to the Rambla. At least four metro stops were within walking distance, making it super easy to get around. The area felt touristy during the day, with souvenir shops and bus loads of tourists crowding around the Sagrada Familia. But away from the main drags, locals definitely outnumbered tourists, and vermuth and beer bars were the perfect choice for a fun night out. When we walked into the apartment, we both went ‘wow’. After years of hotels, staying in our very own apartment for a few days felt like a massive treat. The apartment was bright and airy, tastefully designed and with all the gadgets and mod-cons you need for a few days. The kitchen was well-stocked and full of cooking essentials, from olive oil to coffee and salt and pepper. There’s nothing more annoying than getting to a short-term rental and finding you have to buy things like sugar and washing-up liquid. 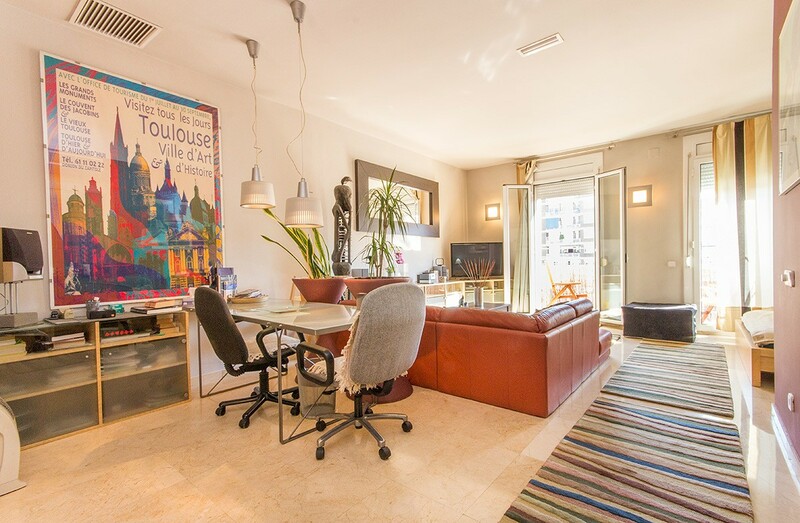 Another view of the lovely Sagrada Familia apartment! The living/bedroom was bright and spacious, with large windows and tasteful decor. We especially appreciated the various books and leaflets about Barcelona left around for us, which gave us some ideas for things to see and do. Everything was just perfect – comfy couches, a great bed, reliable wifi connection (thanks to a my-fi device) and even some CDs and DVDs left out for us. And when we stepped onto the balcony… the spires of Gaudi’s masterpiece peeked at us from around the corner. Shame it was winter and we couldn’t spend much time on the balcony – I guess we need to be back soon! If you’re a hostel person, Barcelona has some great options – here are the best hostels in Barcelona! Since low-cost flights started to take over the aviation radar, news of hidden charges, uncomfortable flights and disgruntled passengers have become commonplace. What if I told you of an airline offering great service at a low-cost rate? Yes, it does exist – it’s Vueling. Prices are similar to those of low-cost carriers, but service and comfort are a step up. Booking is simple and straightforward – no need to untick a million boxes. There are no airport check-in charges, and charges for luggage or seat choice are lower than usual. And on the plane? You can sleep, relax, whatever. You can read excellent inflight mag Ling. You won’t be bothered with staff selling bus tickets or scratchcards every two minutes. Barcelona is the main Vueling hub, and from there you can fly pretty much anywhere in Europe… and beyond. Just a quick look at the map made me daydream. Not only the usual Euro capitals, but also places like Dakar, Cape Verde and Beirut. All a short hop away, with a connection in Barcelona – at a price that puts usual airlines to shame. 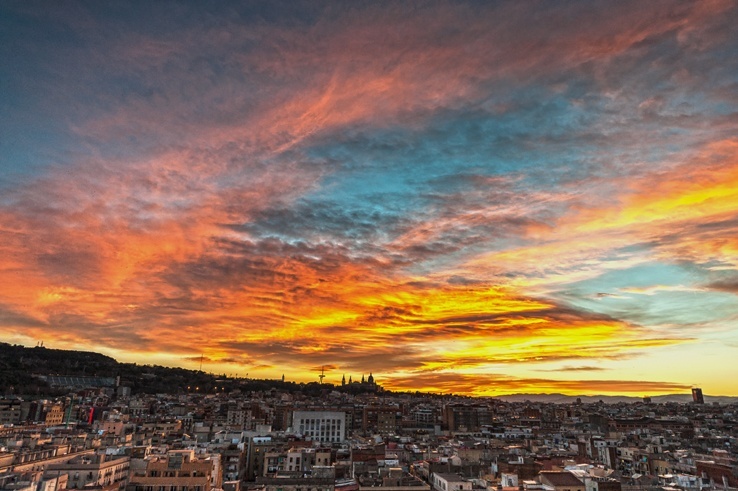 If you’re looking for more ideas on how to do Barcelona on a budget, check out his great article by Dale and Franca at Angloitalian, Follow us – 20 free things to do in Barcelona! Our Barcelona trip was in partnership with OK Apartment, Vueling and Devour Barcelona Food Tours. All opinions are our own. Thanks Pam! see you at TBEX? We did a very long term home exchange in a small town just 80km north of Barcelona. Of course we visited Barcelona, but we missed every one of these interesting locations. After reading this, I am inspired to travel, and I want to go back to Barcelona. Thanks Rhonda! Barcelona is amazing, but so is the surrounding area! So true Ellen! I think we’ll be doing it again! I have never been to Barcelona before so the tips were nice to read as we are planning to go in the Spring. Looks beautiful! I hope you guys have a great time! See you at TBEX! Wow! The Bunkers del Carmel and the Hospital de Sant Pau look fantastic, amazing finds guys! I wish I knew about these places when I was in Barcelona. Thanks Franca! They were indeed awesome finds, I must thank the locals who pointed them out to me! Margherita, We’ve only been to Barcelona one time and did not get to any of the sites you mention…next time! You should indeed return! I love returning to cities! 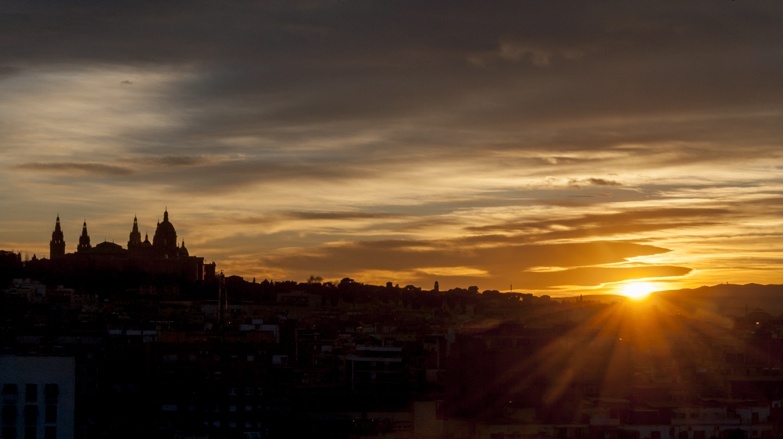 wow, these photos really make me want to go to Barcelona and stay awhile. The Bunker views really put the cathedral in perspective! Thanks Eileen! The view from us there was stunning! I had to save this post for the next time i go to Barcelona! Let’s go and urbex together! All great tips. Looks like we missed a couple things during my last trip there, but it’s all the more reason to go back! The sunset pics are beautiful. Thanks Crystal! There’s so much to see and do in town… I’m sure next time I’ll find even more places! Our first time in Barcelona was when our daughter was 3 months old. 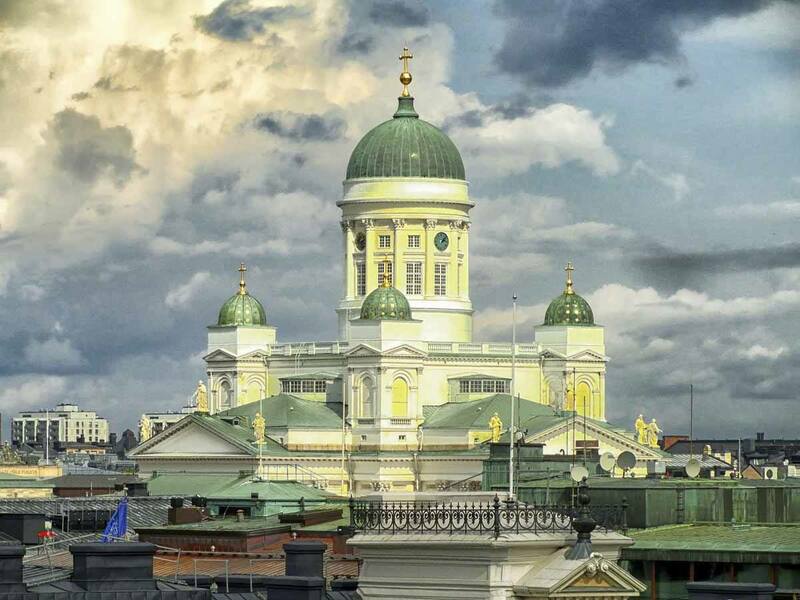 We loved the city but with a slower pace we weren’t able to get off the beaten track. I will be saving this article for when we return some day! Thank you! Thanks so much for your comment! I’m sure your kid will enjoy Barna when she’s older… so many crazy buildings a kid could play make believe games into! I would love any reason to make a return visit to Barcelona, and these are definitely good reasons. Such beautiful and unique architecture and gardens in each of your suggestions. I love Casa Bruno Cuadros and would be there for hours exploring it! Thanks for your ideas! Beautiful pictures! I miss Barcelona so much, especially after reading this! You had a lot of great unknown suggestions, I lived in Barcelona almost 2 months and didn’t see half of these things because I didn’t know about them ! I love Barcelona and you have given some great tips. Thank you for sharing. Hi! I think you just need to buy a drink at the bar to be able to access the terrace. When we went it was wintertime so the terrace was ‘officially’ closed but we asked nicely and were allowed in! If you go in May the bar will definitely be open and I’m sure you’ll be allowed in even if you’re not staying in the hotel. Hope it helps! I have just been reading so much about this city….and of all of ’em I read this ones mighty useful . Awesome 🙂 Thank You. Will do most of it at least. Thanks Sandy, hope you have a nice BCN experience! Lovely post! You have really good shown the beauty of my hometown!